Raising kids is hard, especially in today’s culture and society, where they are pressured into all kinds of unhealthy activities, from drugs to alcohol to eating disorders. As a parent, you want to shield and protect your teen from all of these things; you want to remove them from harm’s way. If you could, you’d make sure that nothing bad ever happened to them and that they’d never fall prey to the misguiding influence of someone else. As someone who really understands teens and the effects of media, society, and peer pressure to be thin, I want to talk a bit about how you can protect your kids from the harmful effects of an eating disorder. These are tricky situations that seem to crop up from out of nowhere, but actually stem from something that is completely avoidable. 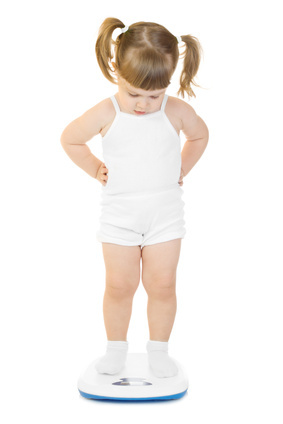 To start, you can help instill in your child a healthy body image and sense of self-esteem. These are two key factors to avoiding an eating disorder altogether. To do this, take the emphasis off of physical appearance and outward motivators and just love them for being them. Don’t make your love conditional on a certain goal or on their accomplishments; fully embrace them for being unique in their own way. Also, provide lots of positive reinforcement for the things that they’re doing really well. If your kid is great at sports, show up at the games, cheer him on, and help him practice. If your kid is really smart, post her report card on the fridge so that everyone can appreciate her knowledge and intellect. 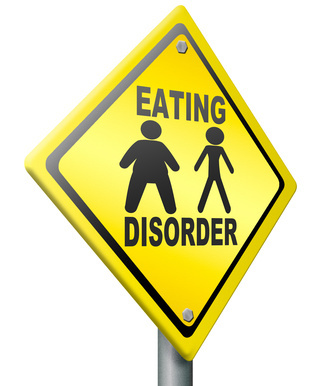 A lot of influences for eating disorders are cues from the people who surround your children. If they interact with people who have an unhealthy relationship with food and their body, that can certainly affect their own way of eating and treating themselves. If you have a problem with food or body image, look into coaching or counseling to help you out so that you can set a glowing example for your child. If you have family members who struggle with food or who are always complaining about their weight, you can talk to them about how what they’re saying is possibly affecting your child, or you can limit how much time they spend with them. Spend quality time with your kids and get to know them, become more involved in what they’re interested in. Get to know their friends (and check them out to see if they’re a good influence for your son or daughter!). The less exposure to negative messages about food and body image, the less likely it is that your child will suffer from an eating disorder. You can also pay attention to what your child is saying and doing. Is she talking about being fat? Is he pushing food around his plate but not eating it? Is she asking for a gym membership or spending a lot of time working out? These are signs that your child probably has an unhealthy relationship with his or her body and that they need your help. Parents are often confused as to what they can do to help, but, as you’ve seen above; there are plenty of ways you can make things easier for your child. Make sure that they know how much you love and care about them, and that your love is not dependent on anything; it just is. And remember that regardless of how much you try to keep your kids from harm, there’s always the possibility that something will slip through your guard. Don’t take it personally and don’t beat yourself up for it. You are doing a great job as a parent, doing the best you know how to do. You are continuously learning and are doing everything you can to keep your children safe. That’s a lot of pressure, so applaud yourself for that. Take time for yourself, which will help you to stay balanced, and will also be a good example for your kids. Remember to keep your eyes and your ears open, to stay engaged with your children, and to not be afraid to ask questions. (I remember when my parents first asked me if I was anorexic – they knew it before I did! You’re still their first line of defense!). Today’s guest post is by emotional eating expert Shannon Lagasse of Hunger for Happiness. Shannon is a recovered anorexic, bulimic, and binge eater who hated her struggling relationship with food. Thankfully, she is now a happy and confident woman who coaches others to win their battle. She graciously agreed to offer her personal experience on recognizing eating disorder activity in our children.